The Mill Woods Seniors Association operates the cafeteria inside the Centre. The staff prepares fresh home-style meals (hot breakfast and lunch) daily in our commercial kitchen. We also host monthly dinner socials with live entertainment. 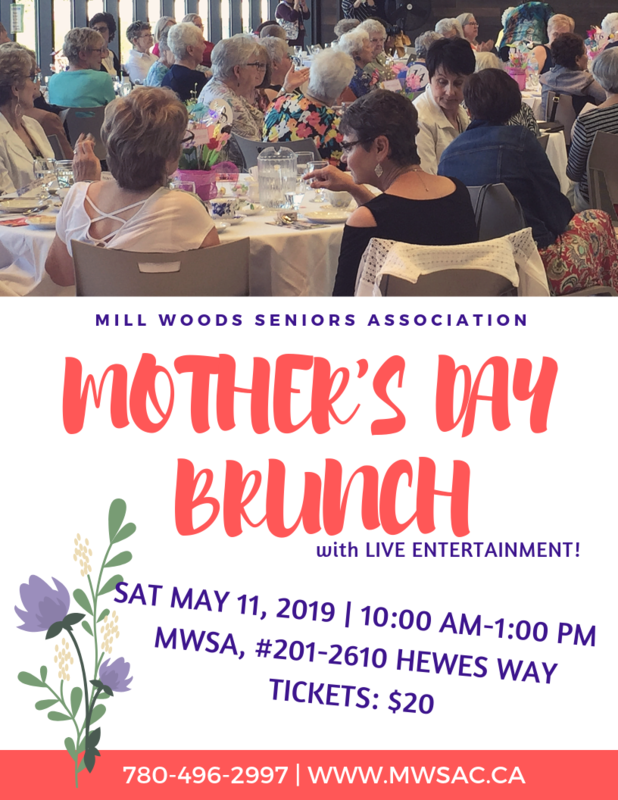 Membership information for the Mill Woods Seniors Association, a non-profit organization with the goal of providing programs and services for seniors 55+. 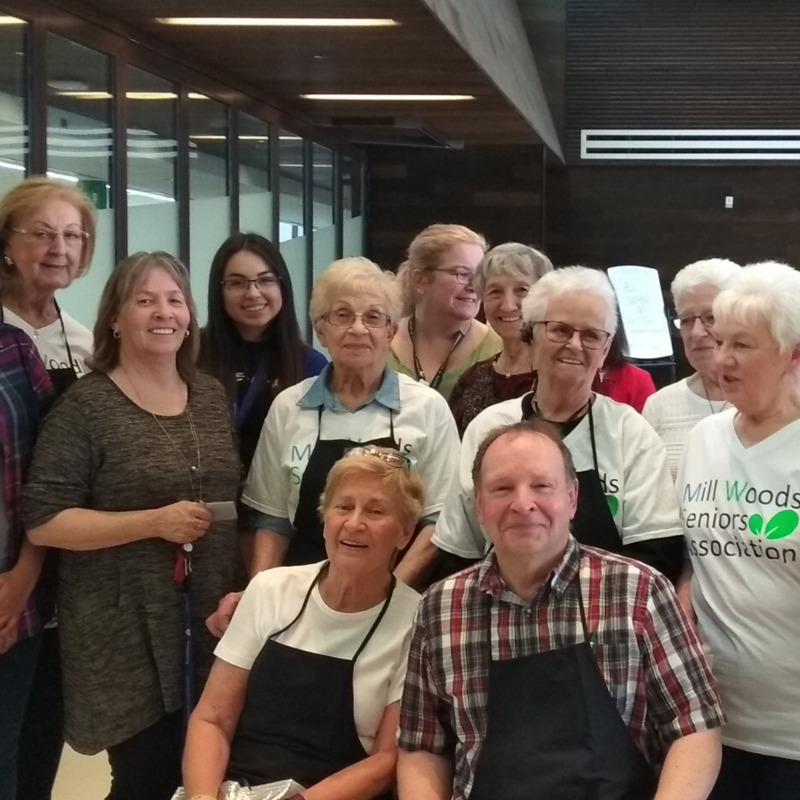 A listing of special events and happenings at the Mill Woods Seniors Association--located on the 2nd Floor of the Mill Woods library, a place for seniors to socialize, meet new people, learn new things, get active and so much more! 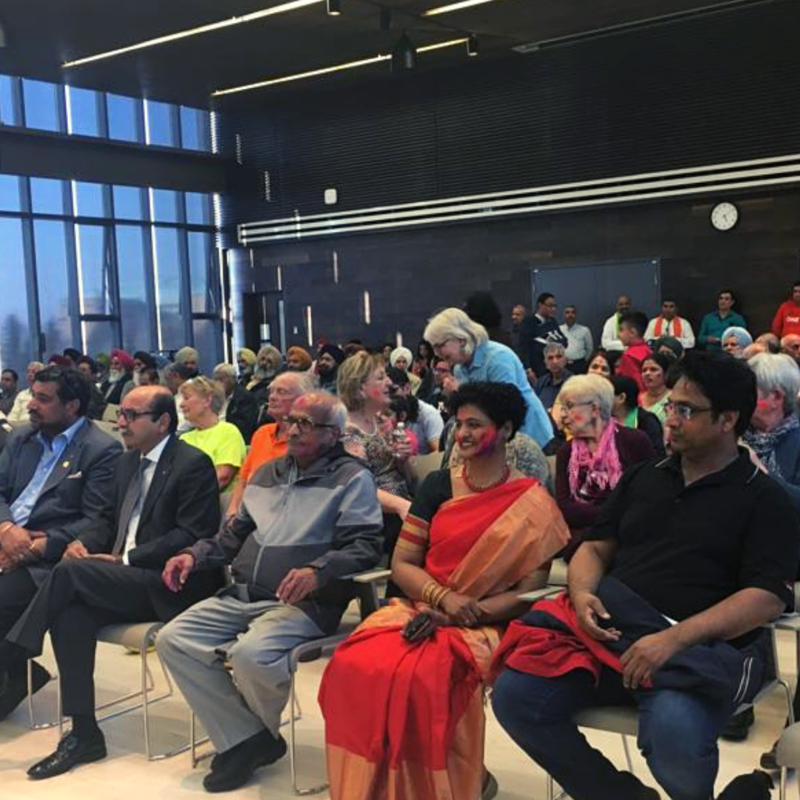 Welcome to the Mill Woods Seniors Association! The Mill Woods Seniors Association is conveniently located in the heart of the Mill Woods, sharing the same beautiful, award-winning building as the Mill Woods Edmonton Public Library. Our goal is to keep seniors (55+) active and engaged in the diverse and exciting community of Mill Woods through a variety of programs, events and services, such as sports, art classes, exercise classes, educational presentations, outings, monthly dinners, cooking demonstrations, and so much more! Join us today! MWSA IS NOW HIRING SUMMER STUDENTS! Please purchase at our Front Desk in person. 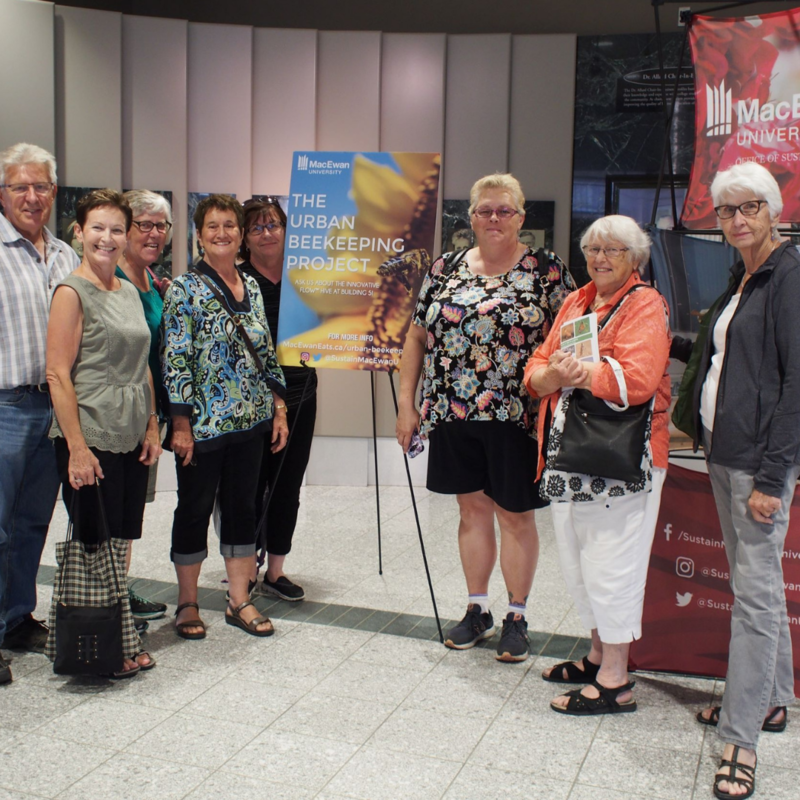 The Mill Woods Seniors Association (MWSA) enhances the dignity and quality of life for seniors (55+) in our community and supports their independence and inclusion by providing a range of programs and services. MWSA strives to meet the recreational, social, health, and physical needs of senior citizens regardless of gender, religion, sexual orientation or ethnic origin. With additional hours from late September-late June: Tuesday and Thursday, 8:30 AM-8:00 PM; Saturday 9:30 AM-12:30 PM. Please call 780-496-2997 to verify hours. Visit us in person and fill out application form. Enjoy the benefits of having a membership!